Need for Migration of Offline Exchange to Office 365? Office 365 offers easy access to your data without spending on the infrastructure. All you need to subscribe plan as per your companies need and create users. Forget about Disk Storage or Investment on storage media to save your company data. Secured against data loss due to disasters, technical faults, etc. at Microsoft Data Centers. Above cons of Office 365 that forced companies to migrate Exchange databases to Office 365 successfully. But it needs a lot of in-depth expertise and patience for migrating to Office 365 from Exchange Server. a) Method used to Migrate Mailboxes less than 2000. The on-premise Exchange server consists of a mail-enabled security group. So create a mail-enabled security group within Office 365 before migrating. For this login to the O365 account, Next GOTO Office 365 Admin Centre > Group > Create new and create a group to receive mailbox items. For this GOTO Exchange Admin Center >> Recipients >> Migration. Here, click on ‘+’ then Select Migrate to Exchange Online option. Now select radio button beside Cutover migration (supported by Exchange Server 2003 and later versions). 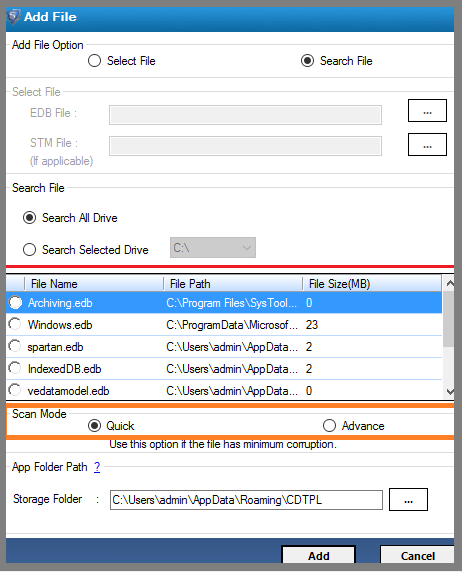 Now fill other option for endpoint migration (new batch migration). At the end Type the name of migration and click on Start button. 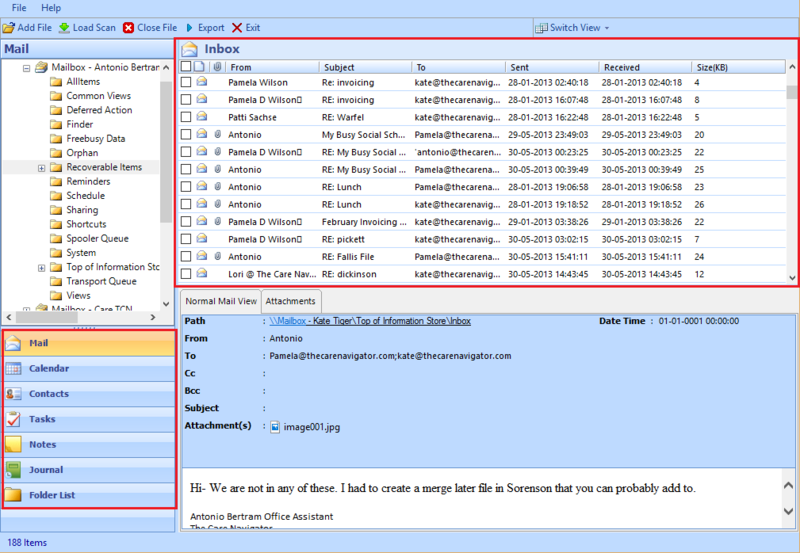 Next, Browse the user that will get the migration report and select radio button beside Automatically start the batch. Next click on new to start migration. To view details click on migration tab and click on View Details. Now Assign Office 365 license to new users. The user account is automatically created after Cutover Migration. Next Re-route domain to receive new emails in Office365. This method can only be used for Exchange version 2003 & 2007. And as Cutover migration, Staged migration also helps to migrate only 2000 mailboxes. If companies want to migrate more then 2000 mailboxes then this will not be helpful. Time taking and takes large server downtime. In-depth technical knowledge required to perform the migration. Software supports Migration of Offline Exchange 2019 and Below version Mailboxes to Office 365 account. As we discussed any Corruption Issue Dismounted EDB File can be fixing using Advance Scanning Option of the utility. 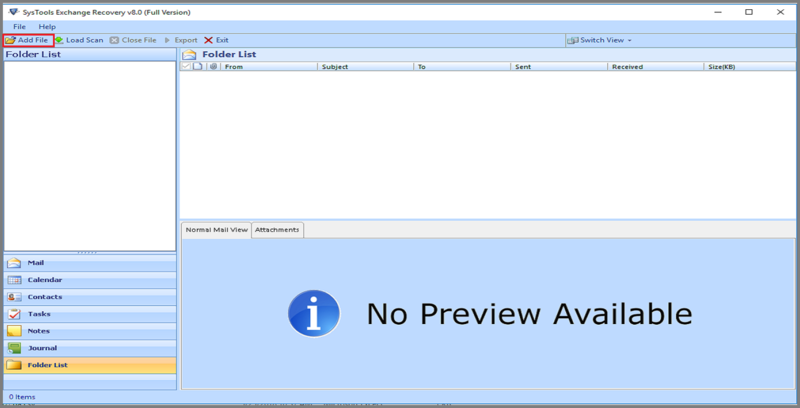 Preview complete mailboxes details stored within Offline EDB file. 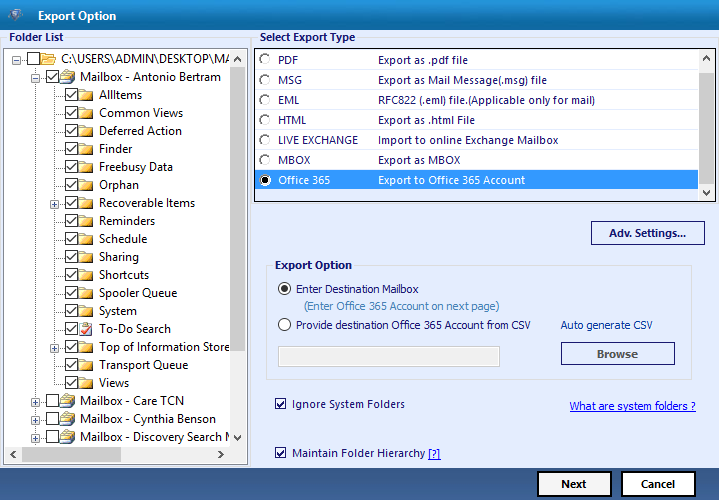 Now Select Office 365 account to start process of migrate Exchange 2010 Mailbox to Office 365 account. After validating Office 365 user account. The software gives two option one is to Enter the Destination Mailbox or Add CSV to migrate Offline Exchange database file to the particular Office 365 user account. Provide User Mailbox Credentials so that Software validate the credentials to start Export Process. After Migration of Exchange Offline Mailboxes to Office 365 process, view the exported mailbox in O365 account. Now Organization using Office365 application to avoid infrastructure and other resources such as Space, Operating System environment and networking resources used in Exchange Server environment. But moving mailboxes of users created in Exchange Server environment to Office 365 account remains a difficult task if we did not follow the right procedure offered by Microsoft such as “Cut Over Migration and Shared Migration”. Exchange Administrator can try another alternative solution offered by SysTools to migrate Exchange 2010 mailbox to Office 365 step by step using the above guide. As Software not only export but also repair and fix any corruption in a .edb file of various Exchange environment.